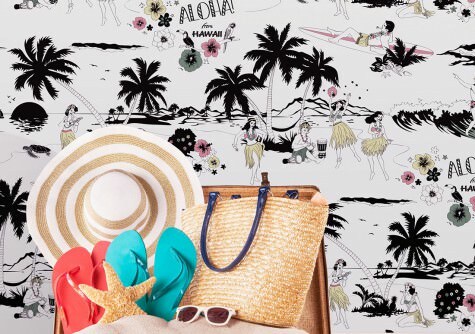 In the UK, or to be precise in sunny Brighton by the sea, the Dupenny designers are spending their days happily creating their cheeky wallpapers. 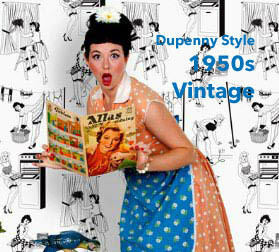 They don’t take themselves too seriously and love retro themes like 50´s Housewives, Time for Tea, or Burlesque. 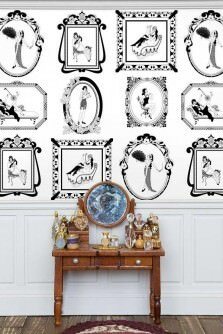 Predominantly featuring monochrome black-and-white designs, they are also experts in skilfully introducing the odd bit of subtle colour into the mix. 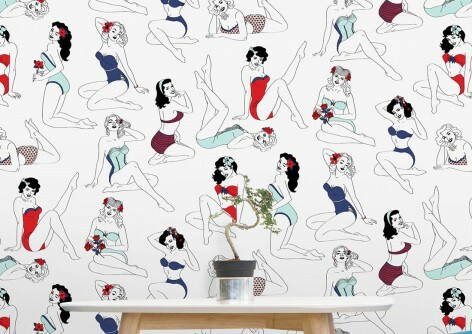 Scantily clad Pin-Up Girls, burlesque dancers or frivolous housewives adorn only the highest quality paper made from 100% cellulose fibres sourced from managed forests. Give in to the seductive power of these unique designs! England is famous for classy and eccentric designs, and Dupenny is a perfect ambassador for stylish yet tongue-in-cheek patterns of that ilk. 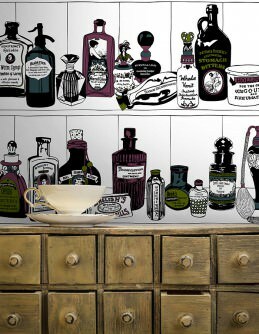 Dupenny’s aim is to put a smile on your face with their highly amusing and titillating motifs. 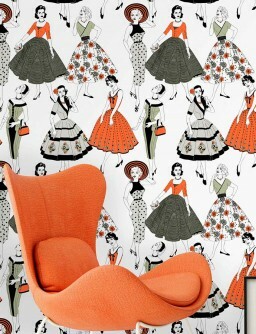 The Geometric range is reminiscent of the London Tube map, the Irrational Fear wallpaper playfully tackles common phobias, the Call Girls range is a naughty nod to the ladies of the night (complete with green star stickers to cover the rude bits! 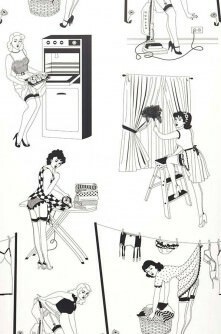 )… Dupenny artists are full-time representatives of British humour, charm, whimsy and retro eroticism with eye-popping cheekiness! Granted, the Dupenny lot are a tiny bit idiosyncratic, to say the least, but that only adds to their passion for wall treatments. 100% natural materials are extremely important to them, all their inks are water-based and sustainable, and they only use the highest quality, FSC-certified paper. Their philosophy is that there is no excuse for unnecessary waste, so their recycle as much as possible. 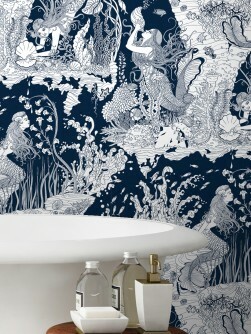 This approach results in the concept of the “perfect imperfection”, as each wallpaper has small variations, making them totally unique. 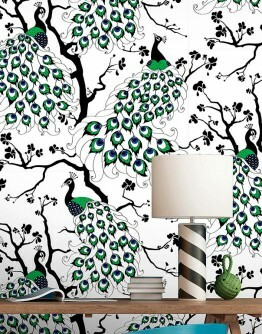 We proudly present the witty world of Dupenny wallpapers in our online shop.